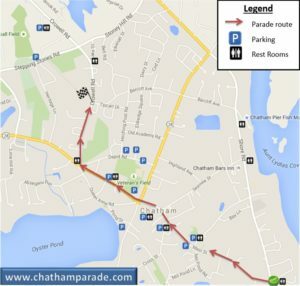 For 2017 the Chatham the 4th of July Parade will again use the extended route ending at the corner of Crowell Road and Tip Cart Drive. Please note that Barcliff Ave will be closed at 7am. Access to shore Road is via Main Street or Route 28. Parking and traffic restrictions will be in effect starting at 8:30 so arrive early and get a good viewing space!! 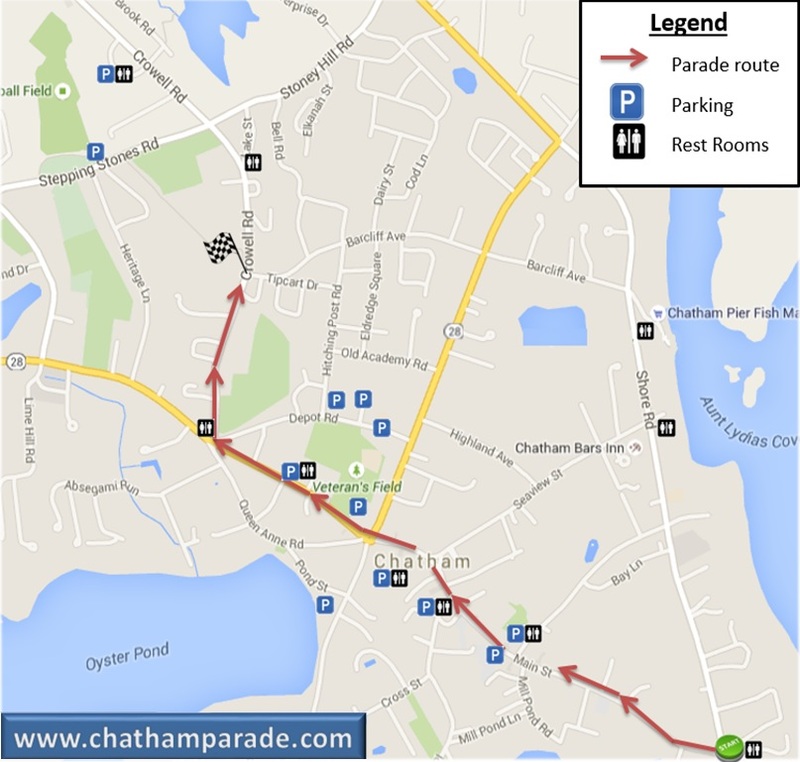 Click the map below to get a larger version that shows you the parade route, public parking locations and the location of rest room facilities that will be available.